In accordance with EASA and JAR legislation, all operators are required to train their pilots and staff in both CRM and TRM. Flight Expectations specialises in providing this training for the smaller operator from single crew AOC operations to a medium sized transport fleet. CRM initial training can be conducted over 1 or 2 days depending upon the size of the operation, with renewal and refresher courses run over half or full days. 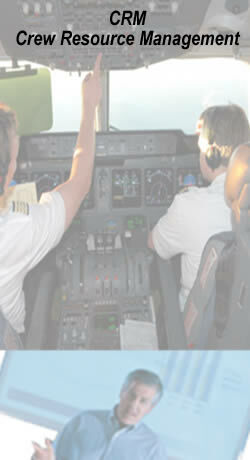 Recent customers include Police AOC Operators, Twin Engine Air Taxi, Helicopter Charter and Heavy Jet Freight Airlines. We would be delighted to quote for this specialist training and we are able to bring our training to your location. All candidates are issued with JAR approved certificates of training forming part of the requirements. The syllabus covers all aspects of CRM and include Effective Communication, Human Error, Sleep, Stress, Decision Making, Situational Awareness, Leadership, Motivation and Morale. In addition a number of valuable case studies are covered using both source material and video recreations. These include United 232 (Sioux City) and KLM 4805 / Pan Am 1736 (Tenerife).